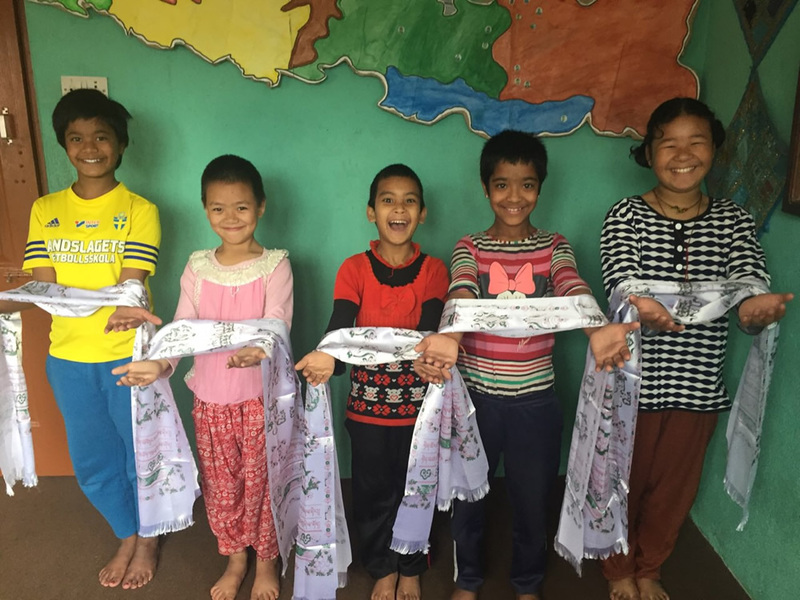 Girls from the Chhahari home with khatas, scarves offered in gratitude and respect. Each guest at Sunday’s party will receive one.Photo by Christine Casey. Laguna local Ann Shea will host a party in her home to celebrate the 10-year anniversary of the Chhahari Hostel, which houses 19 children in central Kathmandu,Nepal. Chhahari, founded by local Christine Casey, supports and educates 23 orphans on a budget of $40,000 a year. Tickets of $75 each are available at eventbriteonline. A Laguna Beach institution, the Tivoli Terrace restaurant on the Festival of Arts grounds, will be renamed Terra Laguna Beach. New owner Mo Honarkar, principal of Laguna Creative Adventures, hopes to open Terra this summer, said a company statement. The local resident also owns several nearby properties on the opposite side of Laguna Canyon Road, including the Seven Degrees event center, Art-A-Fair and a commercial center. June Neptune, the former operator of Tivoli Terrace, said “I wish only the very best for the new life and business at the location that was known as Tivoli Terrace as they begin what I hope is another 47 years of success,” she said in the statement. The top tier of Terra Laguna Beach will be called the Neptune Terrace after June Neptune. The restaurant will offer California cuisine, crafted cocktails and offer catering. 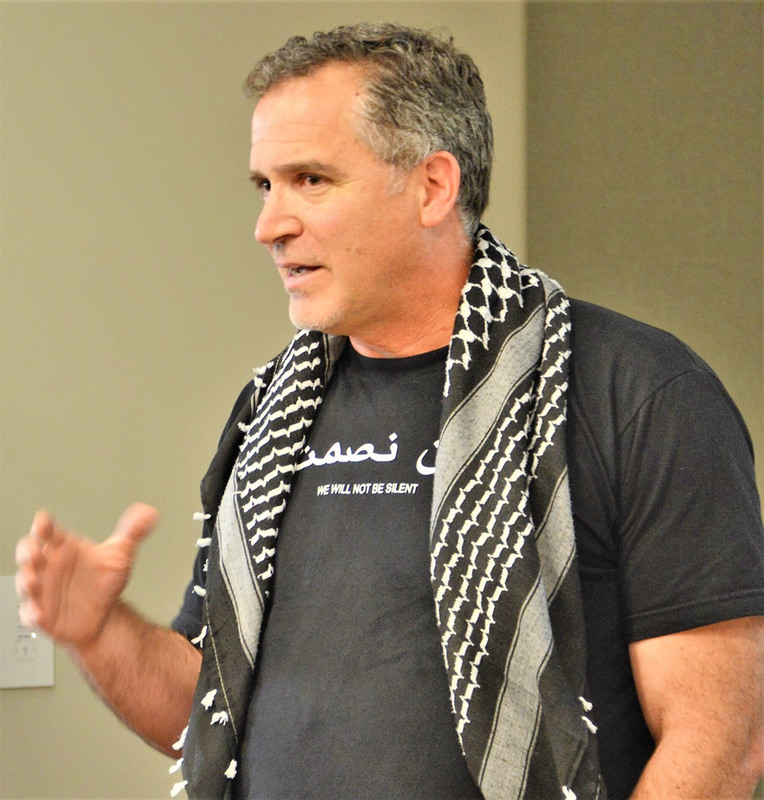 Activist and writer Miko Peled will present “An Insider’s Journey of Discovery and a Solution for Peace between the Palestinians and Israelis,” on Tuesday, 22 May. The 7 p.m. talk takes place at the Unitarian Universalist Fellowship, 429 Cypress Dr.
An Israeli-American activist, Peled will deliver an account of his transformation from serving in the elite special forces units of Israel to advocate for equal rights for all Palestinians and Israelis. Peled grew to regret his military decision after the 1982 Lebanon invasion. In his most recent book, “Injustice: The story of the Holy Land Foundation Five,” Peled reveals the results of U.S.-Israeli collusion in eroding civil liberties. As a public service to assist voters, the Orange County Bar Association has conducted a review of both candidates running for Superior Court Judge in the June 5 election. A film about functional medicine, the integration of Western and Eastern practices, will be show at 5:30 p.m. Thursday June, 7, at the Woman’s Club, 286 St. Anns Dr.
Award-nominee Susan Froemke. A light meal is provided with an RSVP at Eventbrite or call 949 734-5080. Laguna Beach Pride kicks-off pride weekend Friday, June 1, at the Main Street Bar and Cabaret, 1460 S. Coast Hwy. Organizers are seeking volunteers for various duties throughout the weekend. Visit lagunabeachpride.org for details about the city approved event. High school aged volunteers are welcome, too. An array of support groups, from grief recovery to living with chronic illness, is offered at the Susi Q Senior Center, 380 Third St.
Others include Heart to Heart, a support group where individuals gather weekly to discuss important issues impacting their lives; a men only group; Alzheimer’s and dementia support group; and a discussion group addressing end-of-life issues, Death Café. Susi Q also provides one-on-one counseling for seniors with depression. For more info, visit the Susi Q front desk, or call 949 715-8104. The security software company Netwrix Corporation made a $40,000 gift to theLaguna Ocean Foundation, part of a matching gift campaign to restore the Aliso Creek estuary. A restored estuary will clean polluted water that enters the ocean from Aliso Creek and benefit ocean recreation users and aquatic life, Michael Fimin, co-founder of Irvine-based Netwrix said in a statement. The foundation hopes to match Netwrix’s gift through community donations in order to fund the first year of project management. For more information contact Irene Bowie at 808 268-0303. The county Board of Supervisors approved a $1.6 million contract with the non-profit Illumination Foundation to provide housing solutions and mental health services for 60 people, a foundation statement said. The foundation begins receiving referrals this week. The wrap-around services range from crisis management to substance use counseling to housing navigation. The contract from the county Health Care Agency in the first of its kind in the county. Laguna locals Suzy Elghanayan and Sarah Vanderveen plan a gala to raise awareness and funds for the Tahirih Justice Center in Orange County. The ball and auction will be held at The Ranch at Laguna Beach on Sunday, Sep. 16. Laguna Beach Republicanswill discuss the city’s use of public funds to promote a proposal to underground utilities at its 6 p.m. meeting Thursday, May 24, at Mozambique restaurant, 1740 S. Coast Highway. The group will also go over the outcome of the Tuesday, May 22, meeting of the City Council and June ballot measures. RSVP to [email protected]as space is limited.